This Die Is A Must Have For Adults And Kids! It Gives You The Chance To Incorporate Your Favorite Animated Characters Into Your Paper Crafts! 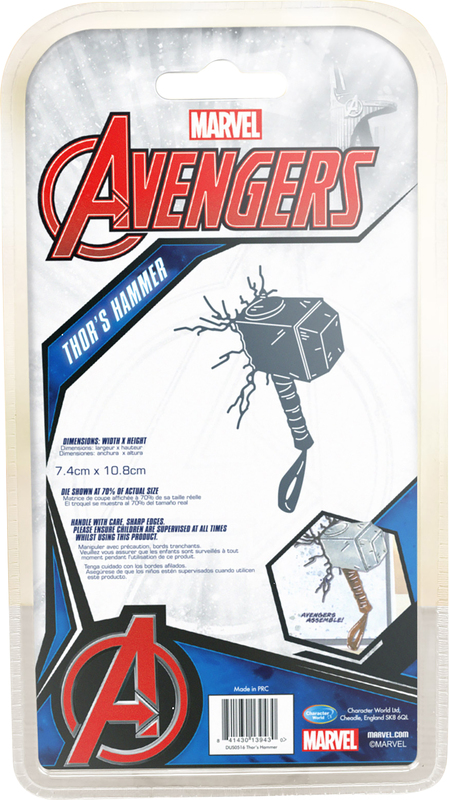 This Package Contains Avengers- Thor's Hammer: One 3X4.25 Inch Metal Die. Warning: Choking Hazard. Not Suitable For Children Under 3 Years. Warning: May Contain Items With Sharp Edges. Handle With Care. Imported.